Every NHL fan has a different story about their favorite player. For some, it’s a matter of who you grew up with, who you remember liking as a kid, who scored at your very first NHL game. For others, it’s more about experiences, the players that were the nicest when you met them. Some fans are drawn to players that they have things in common with, like a home country or supporting a cause. No matter how your favorite player climbed their way to the top of your list, they’re there for a reason. They’re the face you look for at warmups, the jersey you can’t wait to put on, the name your friends text you in all caps when you can’t pay attention to a game and they score. They can always make you smile, and, through it all, they will hold a special place in your heart, both on the ice and off. Here at Puck It Up, we all have our own favorite players for various reasons, and we decided to share our stories with you. So without further ado, here are the favorite NHL players of the “Puck It Up!” staff. “The story of how my favorite player earned that title is the worst nightmare of some hockey fans. He was on my favorite team’s most hated rival. In May of 2016, my stepdad was going to a New York Islanders playoff game and asked me if I wanted pictures of any players. As a Ranger fan, I didn’t know many members of the Islanders, so I picked a random name off the roster and sent it to him. I ended up watching that game since my Rangers had already been eliminated, and I paid special attention to Ryan Strome, the name that I had sent my stepdad earlier. I fell in love with his playing style, the way he used his speed and youthful energy. That night, I gave myself a crash course on him via his Tumblr tag, and I’ve been hooked since. 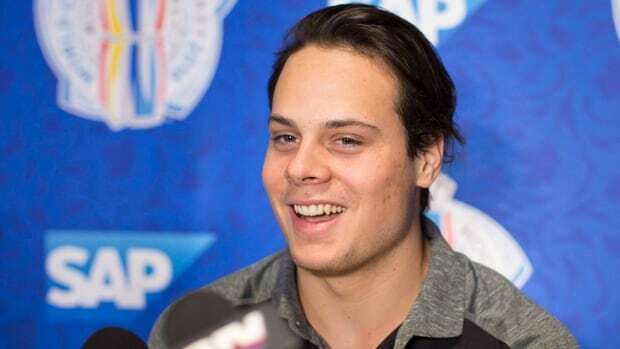 “In the 2016 NHL Entry Draft, the Toronto Maple Leafs picked Auston Matthews first overall, appointing him with a respectable and honorable title: the highest drafted Latinx in NHL history. This particular statistic resonated with me. As a Latinx hockey enthusiast myself, it was the concept of representation that stuck the most. In this modern NHL era, there is a lack of Latinx representation with only three active Latin American professional hockey players: Al Montoya, Max Pacioretty, and, Auston Matthews. Matthews’ path to the NHL was a hectic one and I loved reading everything about it when I first found out about him. Matthew’s missed the 2015 NHL entry draft cut off by two days due to his late birthday. By this point, Auston had already dominated in the USHL system and was looking for a new way to challenge himself. When he ultimately decided to play in the Swiss league his mom, Ema lived with him and brought all of her spices from their home in Arizona to make him enchiladas or her famous tortilla soup. Ema was born in Mexico and became a U.S. citizen in 2002. “It’s easy for me to say who my favorite player is – the hard part comes in explaining why. A lot of people can say their favorite player is someone they watched growing up, someone they emulate their own play on or someone they identify with in one way or another. But Brandon Saad has certainly not been playing since I started watching hockey, and I can’t quite handle a hockey stick on dry land, let alone on ice. But maybe I can date things back that far. “I remember when I first started getting into hockey and a realized fairly quickly the league is very white. From coaching staff, to upper management, to reporters on the sidelines to the players on the ice. As a black woman, it was very hard to feel connected to a lot of those players because of the differences between us. That is, until P.K. Subban. “My favorite hockey player is Patrick Kane. He’s actually the reason why I started watching hockey. My sister has always been a fan so I ended up watching the hockey tournament in the 2010 Winter Olympics. The commentators and broadcasters kept ranting and raving about Patrick Kane so I kept an eye on him throughout the tournament. Obviously, I don’t need to remind Americans how it ended, but I was amazed by Kane’s skills.